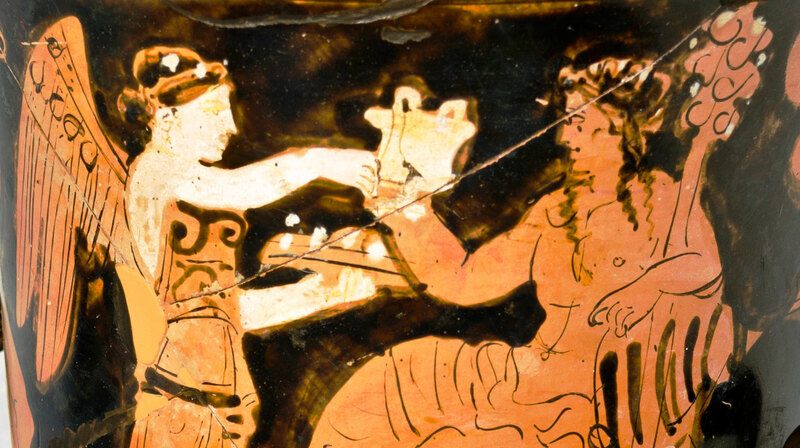 The Unseen Museum welcomes the new year with a wish, the blessing of Dionysos. 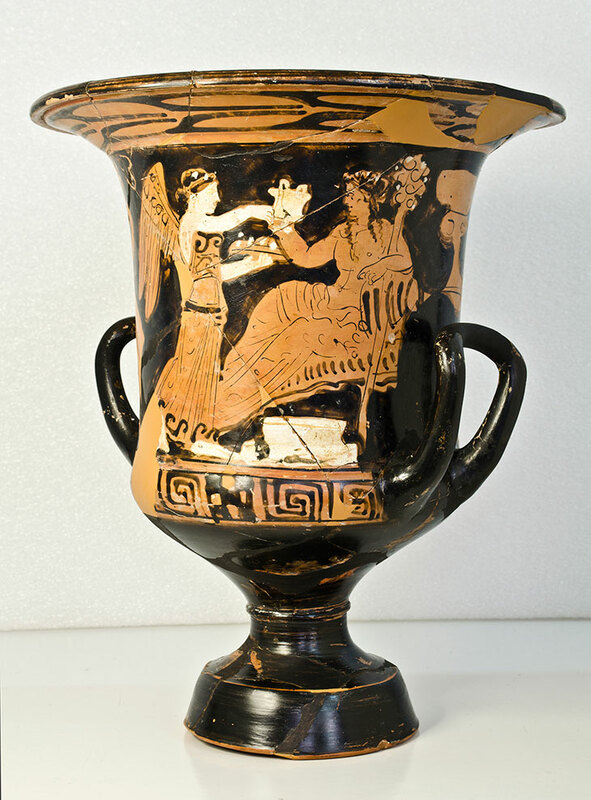 This is an Attic red-figured calyx-krater with a representation of Dionysos and Nike, Satyr and himation-wearing youths, who wish a happy life and defeat of death. 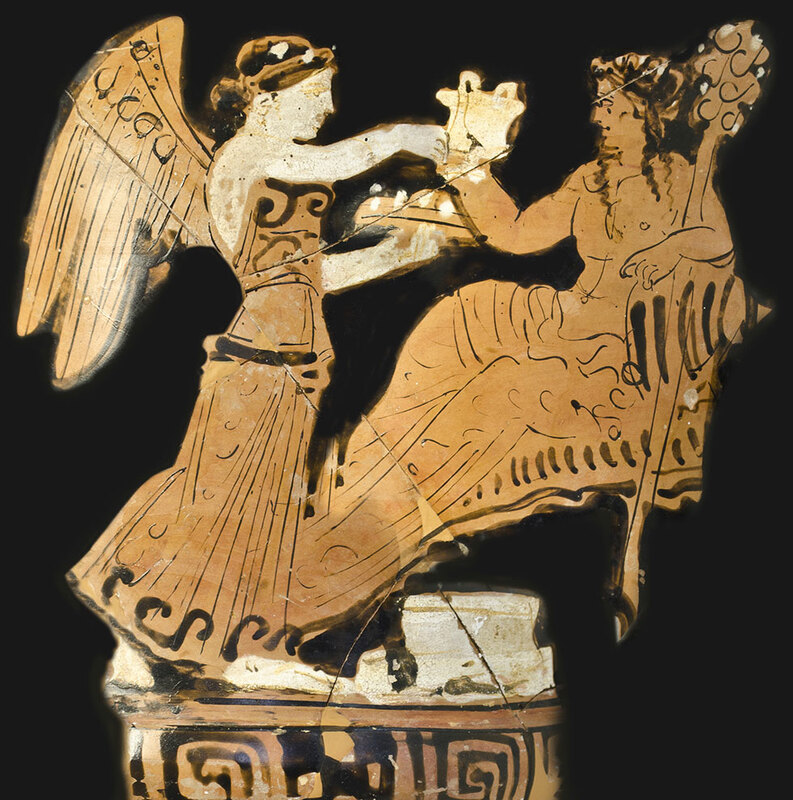 The blessing of Dionysos was brought out on Monday, 4 of January, in the «altar room» (room 34) and will remain there on display on Sunday, 20 of March 2016.